Wealthy international families often have assets spread out across multiple jurisdictions as they move themselves and their families for personal, lifestyle or business reasons. This creates both headaches and opportunities for managing wealth above and beyond the task of simply picking appropriate investments, and frequently these people find themselves poorly served by the wealth management industry. Families with global assets between £5m-£100m are particularly stuck as they fall between two areas: too large or complicated for local wealth planners, but too small to establish their own dedicated private offices. In this piece, I outline the main areas wealthy families should consider to maximise their wealth across borders. Only when you look at your assets as a whole are you truly able to maximise and be efficient with your wealth as well as stay in line with your overall investment strategy. In light of FATCA, CRS and changes to the non-dom rules, transparency is now more important than ever. This means US families face many challenges and regulation is forcing investors to think globally. It is vital to consider the various reporting requirements of different tax jurisdictions. We provide the right information, in the correct currency and required format for increased reporting transparency. Most wealthy families have the same goal: they want to grow their assets steadily over time without taking on significant risk. It sounds simple, but all too frequently people find themselves victims of an incoherent and disjointed approach brought about by using different managers for different pots of wealth. Typically US families living in the UK will have accounts in the US in the form of brokerages, IRAs or ROTHS, some money invested offshore, and they may also hold some investments in their local jurisdiction. Too often, investments across the world are treated as if they are mutually exclusive. The US investment manager looks after the US assets, a different investment manager supervises the offshore assets, while a local UK manager will cover the domestic piece. Each account is treated as a separate silo with no one taking a step back and thinking how it all fits together. Do the investments work together harmoniously or contradict each other? Is there over-concentration as two managers buy similar stocks? Are assets allocated between jurisdictions and wrappers in the most efficient way? Where should income be generated? What is the base currency for the family and is this considered by all the managers? Any one of the managers can have the most fantastic strategy and performance, but this hard work can be negated by activity elsewhere in the portfolio. For an international family, treating each investment accounts in isolation doesn’t work: there should be a single global strategy in place. This might seem like a fairly obvious thing to say however this is not to do with the individual assets bought but more how they are managed. Let’s look at a US family living in the UK who has a US manager looking after their legacy US assets. Let’s say that the manager has been instructed that as the family are on the arising basis of tax they must only hold individual securities and no collectives unless they have UK reporting status. The assets in the portfolio are now being taxed at their marginal rate and like all US domestic managers the assets have a base currency of USD. At the end of the calendar year the process of offsetting gains and losses to reduce potential tax liabilities or take advantage of realised losses is carried out. Perfect, net zero realised gain/loss, happy manager… unhappy client, why? In 2016 the USD strengthened in the region of 18% against the GBP and so the manager has efficiently crystallised a significant capital gain that the client will be subject to tax on in the UK. Oh and this works both ways. We live in world where currency is volatile and reporting is required globally. As wealth managers of international families we must look globally and understand the implications of our investment decisions in every reporting country. The accounting world will know all too well about the challenges here as it is often they who bear the brunt of these issues. 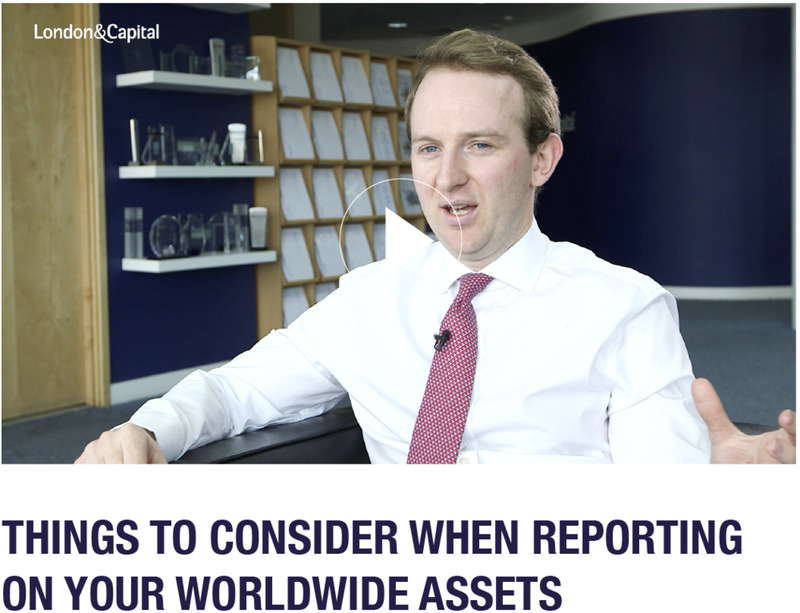 In a similar manner to the need to manage global assets with a clear view of different jurisdictions, being able to provide all the necessary accounting information is fundamental and something that traditionally investment management has not done. For a US/UK family the breakdown in communication comes when the US 1099 is passed to a UK accountant to complete the UK return (and vice versa with the UK info to the CPA). US information talks in USD and on a calendar year basis but the UK reports in GBP from the 6th – 5th April. At best the UK accountant will have a good knowledge of the US and know what they are looking at, at worst this will be completely alien. What follows is a detailed analysis of all activity on the US account over the UK tax year to ensure that all the FX rates are logged and correct. That USD loss reported on the 1099 in 2016 could well actually be a GBP gain due to the currency movements. Did the UK report differentiate between short and long-term gains for the US? I doubt it. Not many of the tax professionals enjoy going through the detailed analysis of the accounts to obtain what they require when their time is better spent giving proactive advice. However, if needed, they will understandably charge for their time. Historically wealthy US families in the UK have managed to elect the remittance basis, often to not have to deal with this reporting headache, but the Non-Dom changes are putting an end to this approach. As a result if we are going to put ourselves out as being able to deal with international US families, we need to provide consolidated reporting information on all the assets we manage in the correct format for both the US and UK tax filings. By no means is this an exhaustive piece on the process of managing global American families but when transparency and compliance are on the rise, Investing the money is just a part of process.